Nice Single Family Home in Holiday Shores! 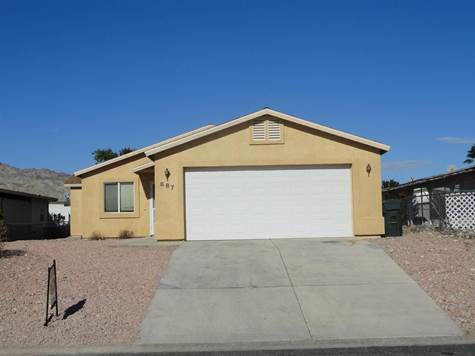 Features an open floor plan, 3 bedrooms, 2 baths and a 2 car garage. Centrally located in town, just a few minutes away from Colorado River access & launch ramps. This is a great starter home, vacation home or investment property. Home is currently leased on a month to month lease for $850.00 a month. Showings welcome by appointment.